The UK charts haven't often brought good cheer for Nintendo in the past year, though the latest results do bring a chink of light, if not a full blown revolution worthy of celebration. We're seeing upward momentum for one surprising game in particular, which suggests that the past seven days saw a modest spike in hardware sales. 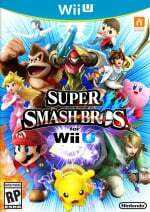 To tackle them in order, Super Smash Bros. on Wii U and Nintendo 3DS has climbed three places to 15th in the all-format charts, with both entries - particularly the Wii U version - showing decent legs. 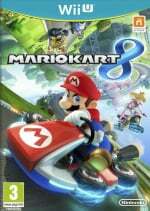 Then we have Mario Kart 8, which has risen 13 places up to 26th in all-formats. That's likely down to bundle sales or promotions, but the rise of Nintendo Land can be reliably tied to improved hardware sales, with it appearing in 28th place somewhat out of nowhere; it's been sold at budget prices standalone for over a year, so sales of the software alone are rather unlikely to have prompted this surge. 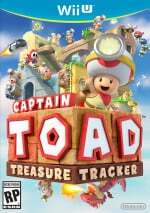 Finally for Wii U we have Captain Toad: Treasure Tracker, somewhat defying the odds and holding out in the top 40 by plucking 38th place. There are only two 3DS games in the top 40, both of which are often counted together away from the quirks of UK chart results - Pokémon Alpha Sapphire claimed 35th place with Pokémon Omega Ruby in 37th. The story this week is all about those decent Wii U results, though, with Mario Kart 8 and even Nintendo Land rising above Super Smash Bros. for Wii U in the single-format results, suggesting that last week saw a little improvement in the hardware's fortunes. It's certainly not enough to break out the bunting, but it's something. I agree that Nintendo Land being much higher means that there's been an increase in Wii U console sales as it's impossible to get it new on its own nowadays. @Grumblevolcano You can still get it on Amazon for under a tenner.It's actually gone up in price as a few weeks ago it was around 7 quid.I don't think that's relative to it's rise in the charts though and as you say,it's likely due to an increase in console sales.Great to see more positive news for the Wii U,especially from the UK. Heard Wii U sales is at 9 million now. It's chuggin' along, the little console that could. I really do find this surprising. Hopefully the trend continues. Maybe my streetpass message of 'Buy a Wii U!' spurned people on. Maybe not. @Moon That's amazing, I have the same message for my Streetpass and one great thing is that I actually got a reply back from someone I Streetpassed with multiple times though the personal message option from tbe entrance to the Plaza, saying that they already own one!!! I have hoped, that Nintendo Land's excellence would some how get the attention it deserves. It usually, if ever, doesn't happen, but I hope this time a hidden gem is unearthed while it's still in shelves. I want sequel for it so bad, that I could cry a bit, but this news is comforting to hear. I also dream about people suddenly emptying shops from Zombi U's and keep hoarding a million or two of them from the eShop as well. 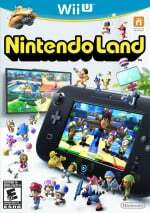 Nintendo Land is dirt cheap (Shopto) that is why. (Same reason Pokemon Black came back). I got it for £5. Makes no sense to get it bundled. It's funny, I bought a Wii U at Walmart on launch day. My NintendoLand would not play. When i bought the original Wii, my Wii Sports wouldn't play. I even traded it in and the new one wouldn't play either. So, I've never been able to play the pack in games on either system. Weird. If Captain Toad: Treasure Tracker is just behind Pokémon Omega Ruby, it's doing better than I expected. "it's been sold at budget prices standalone for over a year, so sales of the software alone are rather unlikely to have prompted this surge." Nintendo must be shocked to find out games sell at lower prices, since they seem to think the only way to sell is a game is to keep it at full price for 3 years before they decide to introduce their budget line. I'm sure bundles were a lot of it's sales - and I don't even know if you can buy a Wii U without NL in the UK - but people who got a Wii U for Christmas without the game would be looking for more games, and cheap ones would get purchased after the holidays. @Grumblevolcano Not true actually, all of my local stores carry copies of it for 30 dollars and that's how I got mine. @ThomasBW84 Please tell me that's you in your avatar? @Spoony_Tech That is indeed me. @Captain_Gonru I got NL with my WiiU at launch, I never gave it a chance and traded it in a few weeks later. Then about 3 weeks ago the price dropped to about €10 on Amazon so I rebought it. Mainly for the star points but also wanted it back in my collection. I'll give it a go again at some stage but people didn't like it because no online multiplayer for a new system at the end of the day. I wonder if Ninty would take notice of these sales and maybe release a patch to add in online play. I know I'd be on it right away, and I hate multiplayer stuff but with Ninty it's always different. Really? How does one unlock them? Play a certain amount of turns? Nintendoland is a good game. With friends over it's a great game! With online it would rock socks off...!!! Nintendo Land is the most underrated game of this gen. 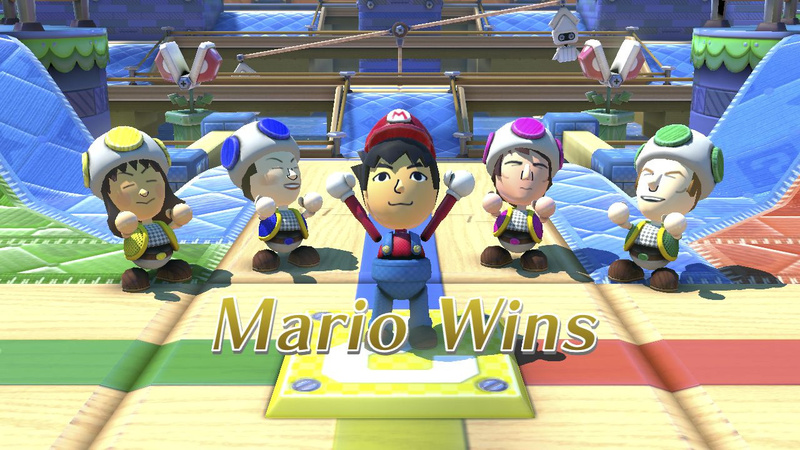 I feel like people shrugged it off because of the cutesy Mii aesthetic but there are some proper-challenging and unique games in there. DK Crash Course is brilliant, so is the F-Zero mode, and Octopus Dance, and Yoshi's Fruit Cart. Play Ninja Castle w/ precision and patience instead of just madly swiping and it's a whole different experience. Glad to hear I'm not alone in my unabashed love for this game. @CptnCharlie Wow thanks I really didn't now, but i think still they are not enough. @mch I looked it up. You have to play 20 rounds of luigis ghost mansion to unlock stage 4 and 5. Amazon UK were selling MK8 bundles for £199 last week, (for a couple of days the MK8 Wii U bundle was higher in the Amazon UK charts than any PS4 or XBONE bundle) but they now seem to have sold out and are back at £249 minimum. Great to see some momentum for the Wii U, I've only had mine since Christmas but it's a really polished little console, and MK8 is superb. @Captain_Gonru - I'ld like half a Ntinedo Land sequel, the multiplayer half. I really have no use for those "app-like" minigames of flying the balloon, motion driving, moving the minecart in the DK like level. Pikmin and Zelda are fun. And the vs games with the ghost and find Mario and the Animal Crossing fruit were good too, but we're more about the co-op. I suspect we'll have another, Play had a couple on Wii, and Sports had Resort. And I suspect they didn't code the oringal w/ DLC in mind, so we haven't gotten any. Next one will come in parts, like Home on PS3. I do hope they add amiibo support, even if only in the plaza. And we should be able to re-arrange all that stuff we win which plops down out of the machine. Almost inconceivable we don't get a sequel. Maybe even Christmas 2015. @Captain_Gonru - I think our different opinions about the games probably has a lot to do with how we play, I only play NL with my wife and kids, it was meant to be a fun family time, so the inclusion of those 1 player games seemed like a waste of real estate in the plaza. I think a sequel would be all multiplayer enabled, even if you could play them alone against bots. Forgot about the pack-ins but I do think you're right. Been waiting forever for the dual Gamepad support, this could do the trick. People always say it's too expensive to release separately, but I just don't buy it (thats not a pun, just a poor choice of words). Wii Balance board released for 1 game for $79.99 and I think it sold fairly well. Other games used it later but I bet most people only used it for Wii Fit. Get the right collection of mini-games, and dual screen support in Splatoon and Starfox, and it will sell for $79, even if they take a few $ loss on each one sold. BUT more people may buy Wii U, so thats a plus. Of course I'm STILL waiting for my online board game collection which I envisioned when the Wii U was first announced w/ built in video-chat. I still don't get how they haven't released a mini-game collection of tic-tac-toe, hangman, battleship, checkers, chess - aimed at grandkids playing w/ their grandparents. (They sell actual Mario checkers, chess and Monopoly board games in stores, why not digitally w/ vid-chat?) Considering how many old folk bought Wii just for Sports I bet a few old age homes would get a Wii U for video chat board games. It would have been a much easier concept to market than Nitneod Land's asynchronous gameplay. Sorry, that last part was a bit off topic, but that was always my follow-up game for Wii Play on Wii U, with the so obviously clever name of "Wii Play Together".